Portrait of a photographic nature, showing Amerbach, the collector, by Holbein II. Plus possibly visits to 3 or 4 outstanding Swiss art museums in Bern, Zurich, Winterthur. 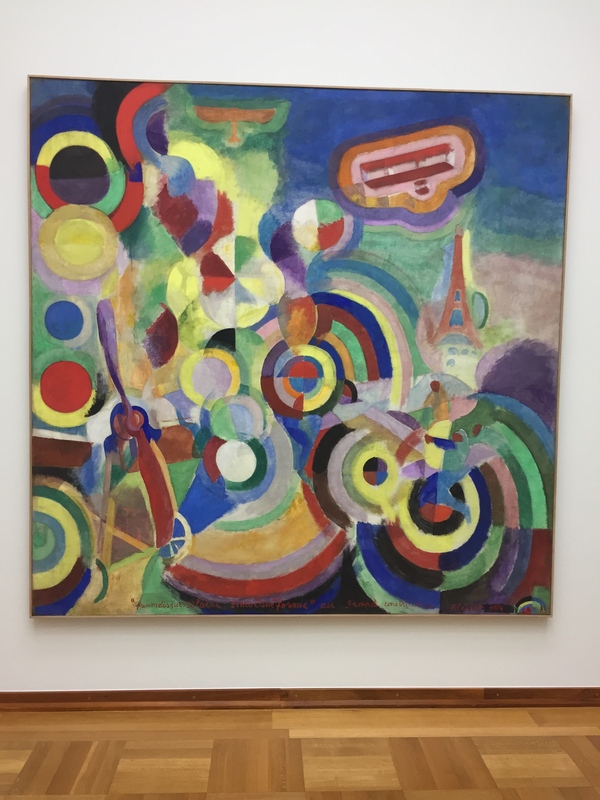 Join me for a visit to the Fine Art Museum (Kunstmuseum) in Basel, Switserland. I will be your private traveling professore, flying in from Amsterdam, Holland specially for you. Private Tour by Drs Kees Kaldenbach, a professional Art History scholar with excellent teaching skills. Specialist in Fine art and Design, Architecture and History. VIP entry. Entry best at 9 or 10AM. Plus possibly visits to all outstanding art museums in Bern, Zurich, Winterthur. In preparation, I have made a week long Reconnaissance trip in the spring of 2018. Based on the ancient private collection of Amerbach, donated 1662, the museum has grown to a major collection of Swiss, German and other schools. The whole is a treasure trove of international stature. 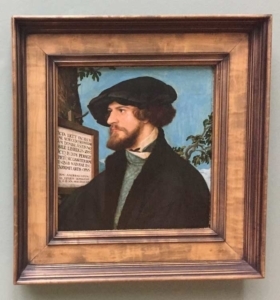 Highlights are the works by Holbein, Hodler and also many Dutch 17th c artists. 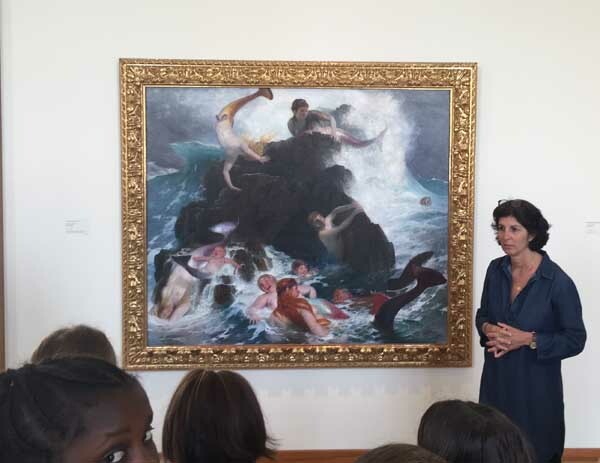 Artists from the 19th and 20th centuries including Bocklin) are very well represented here. 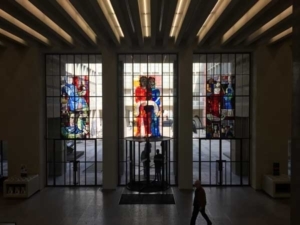 Architecturally it is housed in a 1930-style old building (entrance) with an underground walkway to the concrete, postmodern huge annex across the street, used for temporary exhibitions. 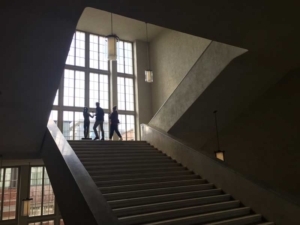 The museum follows the good example of the Rijksmuseum, Amsterdam, by offering all of its artworks for free to the world, in an online database. 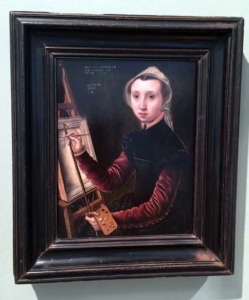 Catharina van Hemessen (1528-after 1567), Self portrait at the Easel, 1548. Exceptionally, a work of an early Netherlandish female artist. 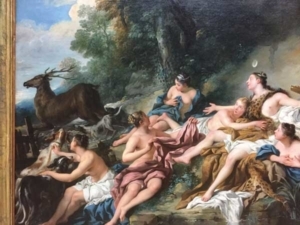 Troy, the age old story of Diana and Acteon in a sugary sweet French rendering. A school class captivated by Bocklin. Robert Delaunay (1885-1941) Homage to the airline pilot Bleriot, 1914. Huge size, with Parisian landmarks. 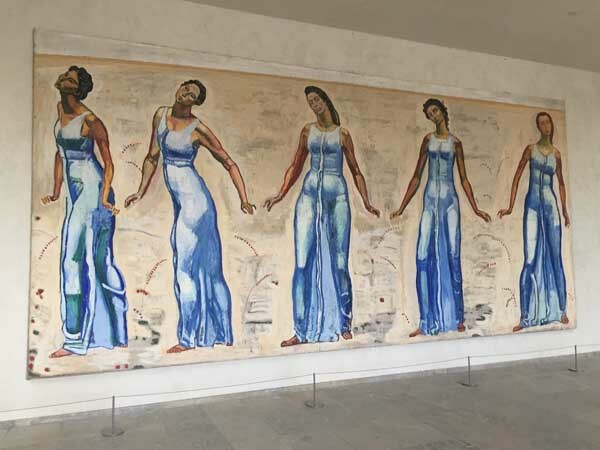 Hodler, born and raised in basel, with a huge mural. “View into Infinity”. In German the title sounds much more mystical. He moved to Geneva. 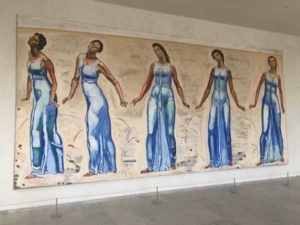 Swiss museums are very rich in Hodler’s works. 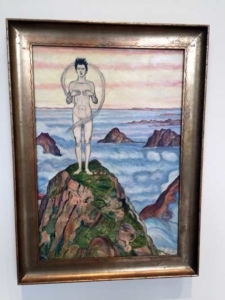 Hodler, View into Infinity, first version, 1903. 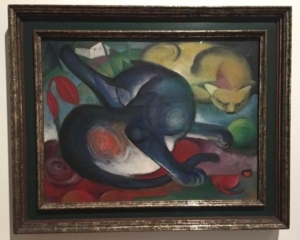 Franz Marc, Cat. Bruecke movement from Munich. The poor man died in WW1. 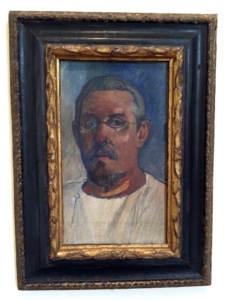 Self portrait by Paul Gauguin. Read his biography. He was the eternally self-centred gifted bad boy.